This class is a great cardiovascular workout that simulates outdoor rides. Pedal through sprints, hills, intervals, and more to energizing music that is sure to make you sweat. If you choose to wear cycling shoes, our bikes are compatible with SPD pedals. No experience required! 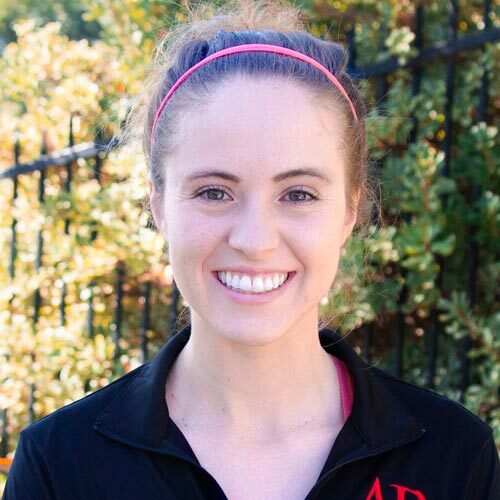 Cindy started teaching indoor cycling classes at the Aztec Recreation Center in 2016 after falling in love with the group fitness classes and instructors as a freshman at SDSU. She grew up competing in all kinds of sports, but was especially fond of basketball and waterpolo. While most people always dreaded the idea of conditioning week, Cindy absolutely loved it! So, when she came to SDSU, she decided to join the club triathlon team in order to challenge herself and stay in shape. It has been three years now, and she can proudly say that both joining the triathlon team and becoming a group fitness instructor were two of the best decisions she made as an undergraduate. Cindy is a firm believer in doing whatever it is that makes you happy--and for her; health, fitness, and good friends are what make her happiest. She graduated with her bachelor of science degree in Kinesiology in May, 2017 and is currently teaching classes and looking to further her education in the medical field. If you ever see her around, please do not hesitate to say hello or send a smile. Go Aztecs!